Whether you’re a professional property developer or you have an interest in home renovations, it’s useful to have various options for associates and partner companies at your disposal. Even in a housing market that doesn’t have a massive influx in new developments, Dorset still has a vibrant property development industry. Ultimately, it’s about hard work, understanding the local market and potential customers, all while keeping your costs low. That’s why you should have a reputable company like Johnson’s of Shaftesbury on your list of contacts. Johnson’s has a range of removals and storage services that are ideal for any property development project in Dorset. We’re a business-friendly company that has an intimate knowledge of running a successful enterprise for many decades. At Johnson’s, we keep our rates competitive which helps property developers reduce their costs for each project they work on. It doesn’t matter if you’re developing a building for commercial or domestic purposes – Johnson’s is the right partner for you. From years of working with property developers, we can tell anyone with confidence that there are two packages they always use. That’s our Man & Van and Storage services. Even people undertaking their own home renovation projects find them useful because they are the perfect fit for the type of process and expenditure requirements. Take this scenario from a previous property development project we were part of. The property developer in question didn’t have a workspace like a depot, warehouse or factory to store materials. Not only that, due to a previous issue with a break-in, their van wasn’t available to use, but the job was due to start the next Monday. They didn’t cancel the project because they knew that Johnson’s have two things: a working vehicle and a storage unit. Johnson’s man with a van service gave them the use of a vehicle and two members of our team for assistance with loading and packing. And because they were renting a storage unit from us as well, the man and van team were able to transport their materials and tools seamlessly on and off-site at the beginning of the day and the end of the shift. Additionally, the appeal of using storage comes from the quality of our facilities and the knowledge that your equipment and building materials are safe from theft or damage. The security measures we take at Johnson’s storage facility leaves nothing to chance. We have CCTV in operation throughout the grounds, with security fencing surrounding the property. The units are made of rust-proof materials and are secure from break-ins. Another lesser-known use of a storage unit is that developers do their admin and paperwork from their storage unit. All you need is a portable modem, a laptop and possibly a desk and chair. This means you have all the basics you need for an office, and the storage required for your equipment. And at a fraction of the costs of commercial rent. By booking your removals with Johnson’s of Shaftesbury, you’ll receive a high standard of customer service at an affordable price. That’s what makes us Dorset’s favourite removals and storage company. Our team will do everything possible to ensure that your development project goes smoothly. For us, every happy customer means a repeat customer, and we often receive referrals from previous clients who recommend us to their colleagues and associates. Johnson’s fully adheres to the BAR accreditation and standard of service, and we strive to go above and beyond in every job we undertake. We are a member of the Master Removers Group, and this elite network of removals companies provides the highest standard of customer service available in the UK. It’s essential that your materials and equipment arrive onsite in perfect working condition. If you don’t do your due diligence, you may use a company that damages your tools and building materials. You can check companies online through previous customer’ reviews, which is advisable. It’s easy to do, and you can use the experiences of other people to help you choose the right removals and storage company. Ultimately, you should only use a company you’re comfortable with, so make sure you ask them lots of questions. You’re paying money for a reliable company, and they should be available to discuss any issues or queries with you. It should also be easy to find out as much about any company via their website. Similarly, an online presence says a lot about if a company is reputable or not. Johnson’s of Shaftesbury is known as Dorset’s favourite company for removals and storage, and we aim to provide the best customer service possible. That’s why we keep our prices low, so everyone can afford to use our services. However, that doesn’t mean we cut corners or provide a below-par service. We believe that our customers deserve the best of both situations. Johnson’s operates everywhere in Dorset and the surrounding areas. 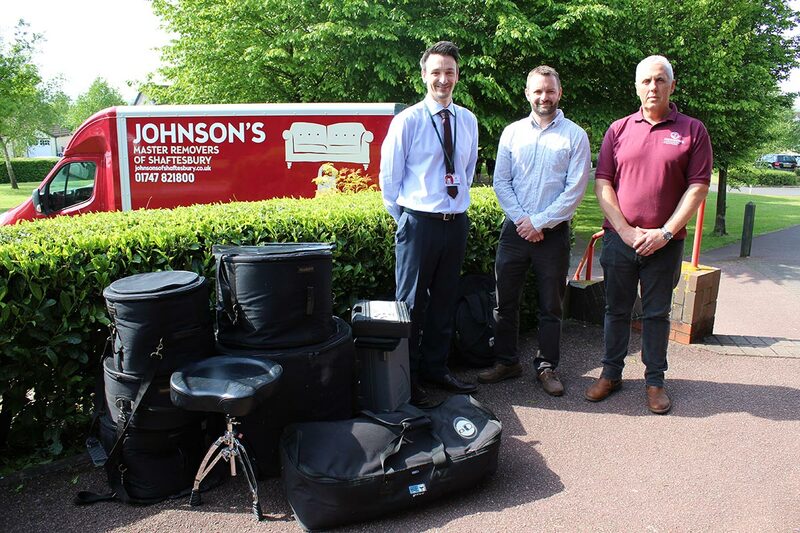 Johnson’s ethos is to make sure our customers receive the right service to suit their needs. To us, customer service is paramount. All our commercial removals and storage packages stem from feedback from our business clients. For this reason, the property developers we work with are the best people to advise whether our services fit their needs. For the Johnson’s team, there is no job we can’t undertake. We have the right storage size unit to suit every property developer’s needs, as well as a suitable removals service. Our team are consummate professionals with years of experience in removals and storage. Moreover, we turn up early for each job and complete on time. Everything we plan and execute is efficient and as cost-effective as possible. If you’re a property developer in Dorset or are undertaking your own home renovations, contact us today. We’ll happily discuss our commercial storage packages, as well as other services that could benefit your project.